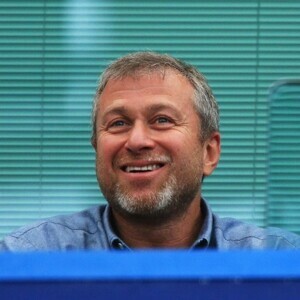 How much is Roman Abramovich Worth? 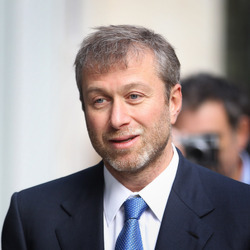 Roman Abramovich net worth: Roman Abramovich is a Russian businessman who has a net worth of $10 billion. Roman Abramovich accumulated his net worth through his many, many business ventures, beginning with selling stolen gasoline to commissioned officers in his Soviet Army Unit, and later, moving on to the smuggling of contraband. His endeavor was so successful that he was able to move on to bigger and better investments, starting with a toy factory, automobile parts co-op and selling retread tires. He and his first wife, Olga, began a doll making company and was doing quite well, and he began investing in everything with possibilities. He started a number of businesses, including bodyguard services, the trading of oil and oil products, as well as, produced consumer goods. He was arrested for stealing government property, but after cooperating with the authorities in retrieving the stolen fuel, the case against him was closed. Roman Abramovich has also acquired ten more companies, Mekong close joint-stock company, Centurion close joint-stock company, and Vector –A limited liability company, just to name a few. Abramovich was becoming more rich and powerful with each business deal he made. So important in Russia that he was invited to live in the Kremlin, close to President Boris Yeltsin. 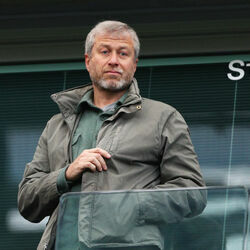 Roman Abramovich is considered to be the ninth richest man in Russia. He began a close friendship with Boris Berezovsky and together they founded, Gilbraltar-registered Runicom Ltd., an offshore company, plus five Western European supplementaries. Abramovich was elected as a representative for the Chukotka Autonomous Okrug and in the year 2000, he became the governor of Chukotka. He made several improvements in housing, education, and living status, as well as drawing new investors to the area. It is said that he used much of his own money to make these improvements. He received the Order of Honour Award for his contribution to Chukotka. 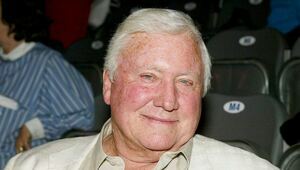 Abramovich turned in his resignation as governor in 2008, but during his term in office, there were salary increases for the people, as well as, the rebuilding of hospitals, schools and homes that were in need of much repair. Much of the money needed to get to this level of reform was taken from Abramovich's own pockets and his foundations, Pole of Hope and Territoria. 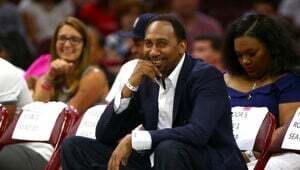 In 2003, Roman Abramovich bought the Chelsea Football Club, an English Premier League Football team, as well as five luxury yachts, a Boeing 767-33A/ER, three helicopters, five or six automobiles, and two customed made limo's. He has also purchased homes in Belgravia, London, Colorado, and other properties, and is a major art buyer in the auction market. He has been married three times, twice to Olga Yurevna Lysova, and to Irina Vyacheslavovna Malandina,(of which produced five children). He also had a domestic partner, Daria "Dasha" Zhukova and in 2004 she gave birth to their son, Aaron Alexander. Roman Abramovich is not only one of the richest entrepreneur's in the world, but also one of the most protected, with a 40 person security staff.